If you are a blogger then you must know about broken or dead links. But if you are new to this world then it may be a new term for you. So here is a simple definition for you. Broken links are those links that do not work because the destination has been deleted or the path has been changed. So, here is the best and simplest way to search and remove broken links from your WordPress blog. Yes, you just need to install a small plugin named broken link checker and the best thing about the plugin is it is completely free. After installing the plugin you need to activate it. 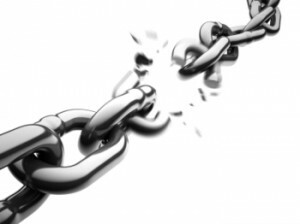 Now give some time and this great plugin will find all broken links on your blog. After got the information you can fix all broken links with a single click. Click here to download the plugin for free and get more love from Google than before. Don’t forget to share your views in our comment section. Thanks for reading.